Rose Gums is advanced ecotourism accredited with 230 acres of tropical rainforest just ten minutes from Lake Eacham bordering the World Heritage Wooroonooran National Park. 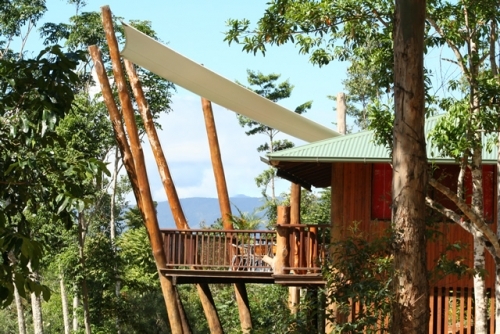 The luxury pole and timber treehouses are totally private and feature large spa baths, cosy fireplaces and verandas with stunning mountain views. 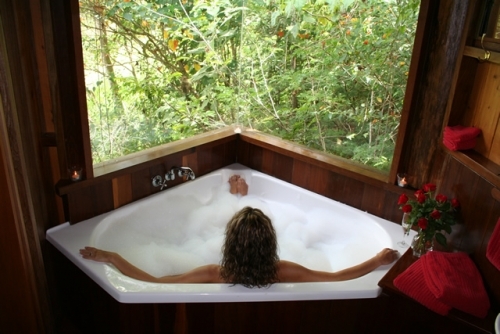 Explore pristine rainforest streams and kilometres of walking tracks. There is abundant wildlife with over 160 species recorded. Guided bird watching is available. This cool tropical mountain retreat offers peace and relaxation. The treehouses are ideal for the romantic hideaway or the family holiday and a genuine, family business with Jon & Peta Nott your friendly hosts.